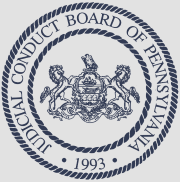 Furthermore, under the Board’s governing rules, “all information and proceedings relating to a complaint and records of the Board’s deliberations shall be kept confidential.” Pa.J.C.B.R.P. No. 17. Limited exceptions to the general rule of confidentiality are set forth in Rule 18. Pa.J.C.B.R. No. 18. (iv) A record that includes information made confidential by law. 65 P.S. § 67.708(b)(17)(i), (ii) & (iv). Decisions of the Open Records Officer may be appealed pursuant to section 1101 of the RTKL (65 P.S. § 67.1101).